We build customized measurement solutions to fit your specific needs. Please spend a few moments and select the stage size and platform you will require. 5.0 Megapixels through a dedicated IEEE 1394 connection. 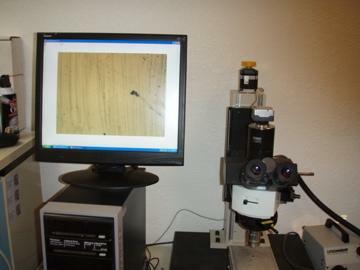 For fluorescence microscopy, a Peltier Cooling Device is integrated into the cameras (Moticam 3000C & 5000C only). Together with Motic's professional digital imaging software Motic Images Advanced 3.2, quantifying and analyzing images for professional microscopy becomes both easy as well as affordable. Simply connect this camera to your microscope's C-Mount with the correct adapter and unlock the power of microscopy with this ultimate turn-key solution series. For more information on the software included in this package, please go to the Motic Images Advanced 3.2 software .